January 18, 2019 3:43 pm. Conte will have to face the toughest opponent in town when he takes his first foray into Group 1 grade in this Sunday’s (20 January) Stewards’ Cup (1600m) but his big-race rider Joao Moreira is unruffled at that prospect. “It will be an interesting race because I think we’ve got a chance,” the Brazilian ace said at Sha Tin this morning, Friday, 18 January. Those are brave words when the rival in question is Beauty Generation, a four-time G1 winner, untouchable in four dominant victories this year and the world’s top-rated specialist turf miler. But Moreira’s faith in his mount is at least rooted in a solid foundation. 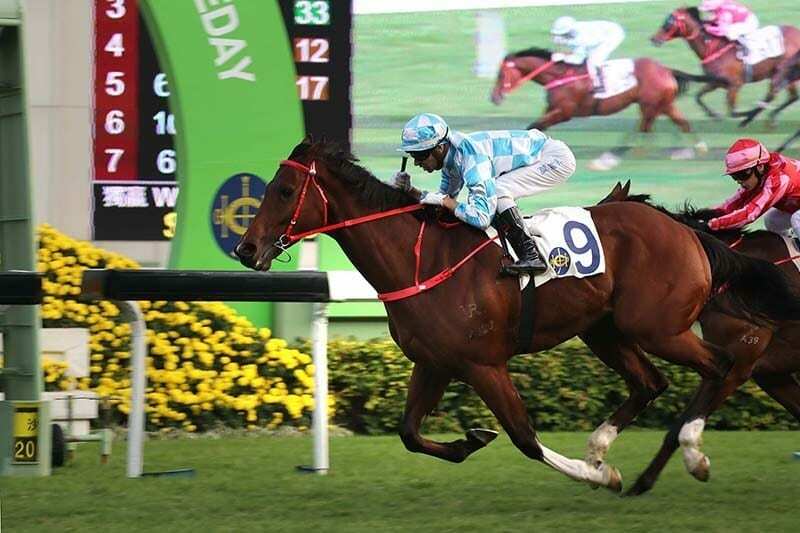 Conte has won seven of his nine starts; he is a powerful, long-striding galloper with a smart change of gear; and he has improved for each race, the last of which brought an authoritative first Group race win in the G3 Chinese Club Challenge Cup Handicap (1400m). That latest success, though, still leaves the John Size-trained gelding on an international rating 21 points below Beauty Generation. The rival is a bona fide champion. Moreira is not questioning that. Potential is the watchword: Conte has shown bundles of it in the past 14 months. And the fact that the five-year-old’s career spans a little over a year, compared to Beauty Generation’s four seasons and 26 races, gives the big bay that tantalising he-could-be-anything factor. “I’ve got no doubt there’s more to come from him,” Moreira continued. “He’s been doing everything in a straightforward way, he’s done nothing wrong and every time I sit on top of this horse he gives me extra confidence. “The way he’s been going in his races he gives me that confidence that he’s one of the best horses in town, so I’m quite confident that he’s going to deliver his best. The six-runner field also features the talented quartet of Beauty Only, Pakistan Star, Southern Legend, and Northern Superstar. Top-class potential or not, should Conte win it would be one of the biggest shocks of the season, with Beauty Generation the equal top-rated horse in Hong Kong history alongside another great John Moore-trained miler Able Friend. On Thursday (24 January) the International Federation of Horseracing Authorities will release the 2018 LONGINES World’s Best Racehorse Rankings, in which Beauty Generation will take high order. The Hong Kong Jockey Club has made a series of 60-second videos to coincide with their star galloper’s high rating and to credit his achievements thus far. Those videos will premiere across the Club’s social media channels, starting today, Friday, 18 January, telling the Beauty Generation story from the perspective of the people closest to the horse: Moore; owner Patrick Kwok; the champion’s mafoo (groom); jockey Zac Purton; and the Jockey Club’s CEO Winfried Engelbrecht-Bresges.